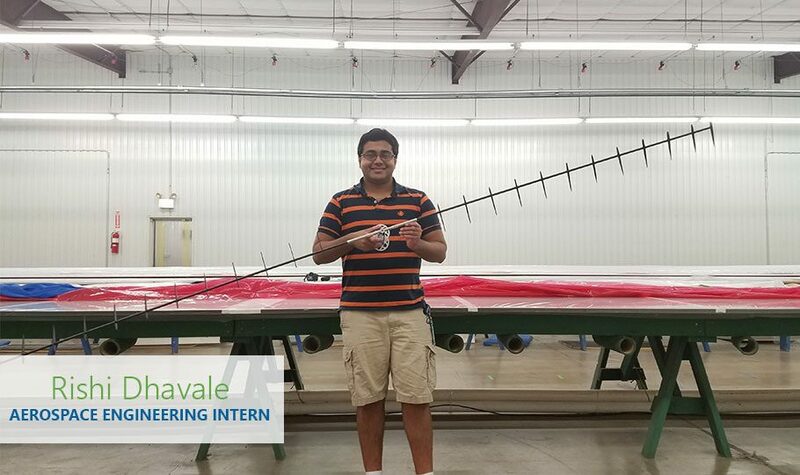 Rishi Dhavale is an Aerospace Engineering Intern for Raven Aerostar in Sulphur Springs, Texas. Rishi is a senior at the University of Texas at Austin, majoring in Aerospace Engineering. Aerospace engineering takes on many forms for Rishi as an intern this summer. In addition to programming and fabricating parts, he focuses his work on constructing virtual models and component diagrams related to projects he worked on. His big project this summer is working to increase maneuverability of Raven Aerostar’s Zero Pressure Balloons. Rishi’s favorite part of his internship has been his ability to get hands-on experience with concepts he has encountered in his studies. “It really gives a lot of weight to what I’ve studied and what I will be studying,” Rishi said. The environment at Raven has helped Rishi flourish. It’s professional and focused, but at the same time, there is a great sense of comradery that you can feel here. His mentor, Principal Design Engineer Mike Smith, has helped Rishi develop and refine his ideas and mentored him in concepts he has yet to learn. Rishi encourages future interns not to worry about the scale of projects, but instead to put energy into the project itself. The University of Texas at Austin offered a top engineering program with a great campus atmosphere, making it the right choice for Rishi. After graduation, Rishi hopes to lead projects in design and simulation in the aerospace industry. "Drive is essential for growth and the ability to overcome obstacles."